1951 Ferrari 340 America Sales Brochure # M-63 - REPRINT ! 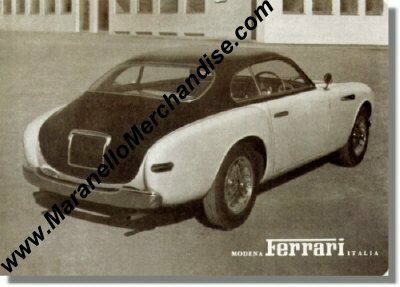 This is a REPRINT of the Ferrari 340 America Berlinetta brochure as mentioned in Richard Merritt's book on page 63 - 66. This reprint is executed in a more than excellent way and would fool most unknowing collectors. It measures approximately 11 x 16 cm or 4.5 x 6.5 inches. An excellent opportunity for the collector who doesn't want to, or can't, spend thousands of $$$ for an original (i.e. IF you could find an original for sale...). Once again: THIS IS A REPRINT !!! !